i've never been a big fan, but it's certainly a rare item! Weber made the Traveler with a wood lid handle starting in 1964. 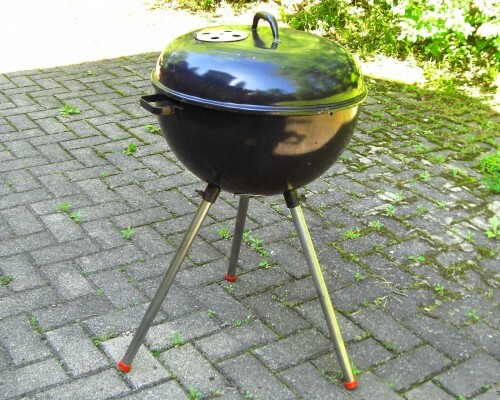 This grill is a 1963 or younger, 1950's ? Hey einrej, This one has a Weber Bros. Chicago lid vent, metal rounded lid handle, the bowl handles welded flat. Definitely mid1950's before the move to Wood Dale. I have a 1963 Wood Dale, looks the same except for the Chicago vent.